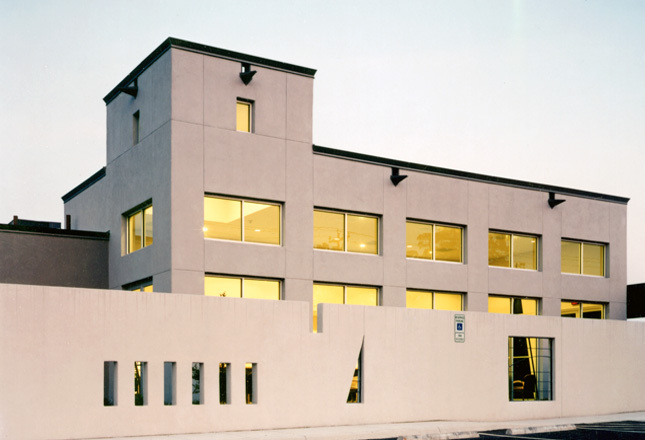 San Antonio Gastroenterology Center | Robey Architecture, Inc. The new center is comprised of two separate medical facilities: a 6,000 sq. ft. 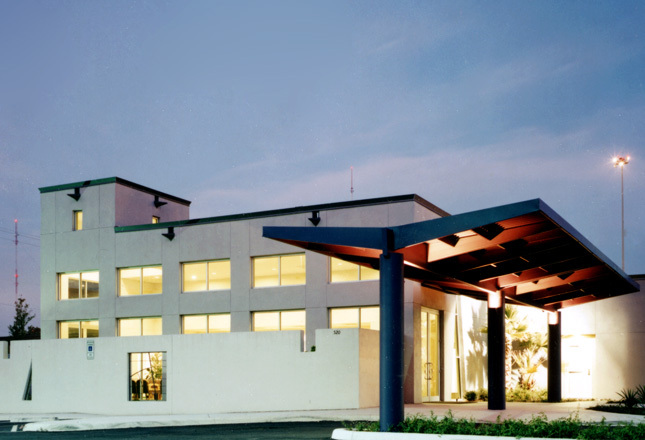 Ambulatory Surgical Center, licensed by the Texas Department of Health, and a 10,000 sq. ft. medical clinic with exam rooms and doctor’s offices. This small out-patient surgery facility is located in a blighted neighborhood near the downtown area. In respondse to the context, the design/build team attempted to create an abstract “landscape” whose layered walls form protected courtyards shielding most of the building’s openings. The 16,000 sq. 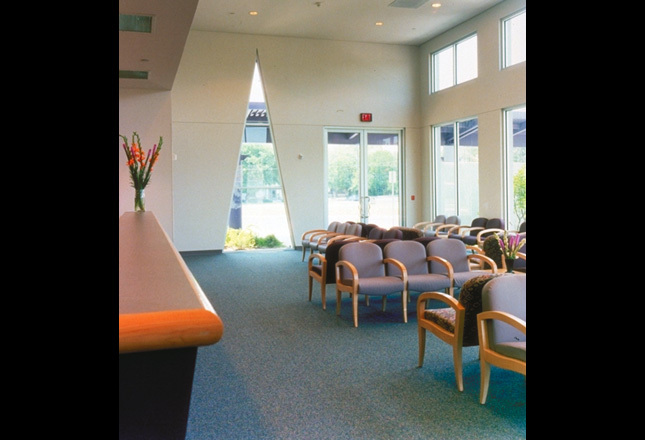 ft. building is divided into administrative/exam areas and surgery/recovery areas with both sharing the same 50 person waiting room. 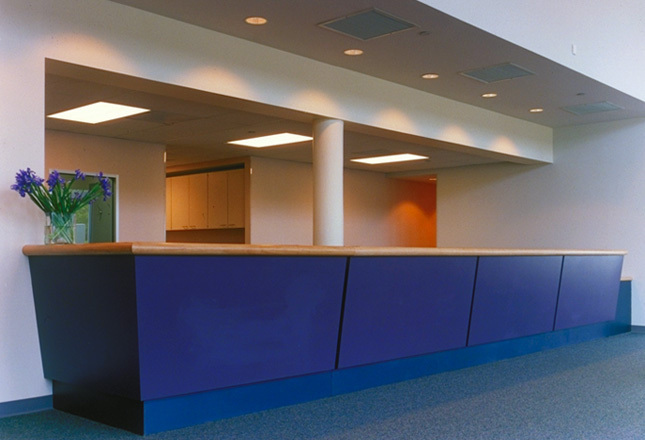 The two-story high waiting area has large windows on its north and east sides, flooding the room with indirect light and focusing on the adjacent courtyard. 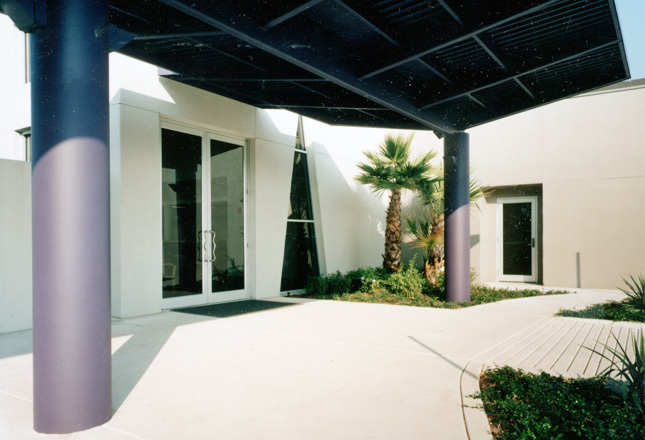 Beak-like scuppers around the building act as sundials, casting long pointed shadows on its walls The relatively low cost building has a light-weight steel structure clad in stucco with a paint grip finish metal coping and scuppers.